Perhaps you're hosting a gathering for your single gal pals on Valentine's Day, or maybe you're a guy reading this blog and trying to figure out which drink to serve your lady before or after a romantic, home-cooked dinner. I posted this recipe for The Red Rooster cocktail earlier this week, but if your friends or lady love aren't bourbon fans, then this Pomegranate Gin Fizz from The Kitchn might set the mood straight. It's simple, fool-proof and hey, pomegranates do have aphrodisiac qualities. Just pick yourself up some PAMA liqueur, a bottle of gin (I'm a fan of No. 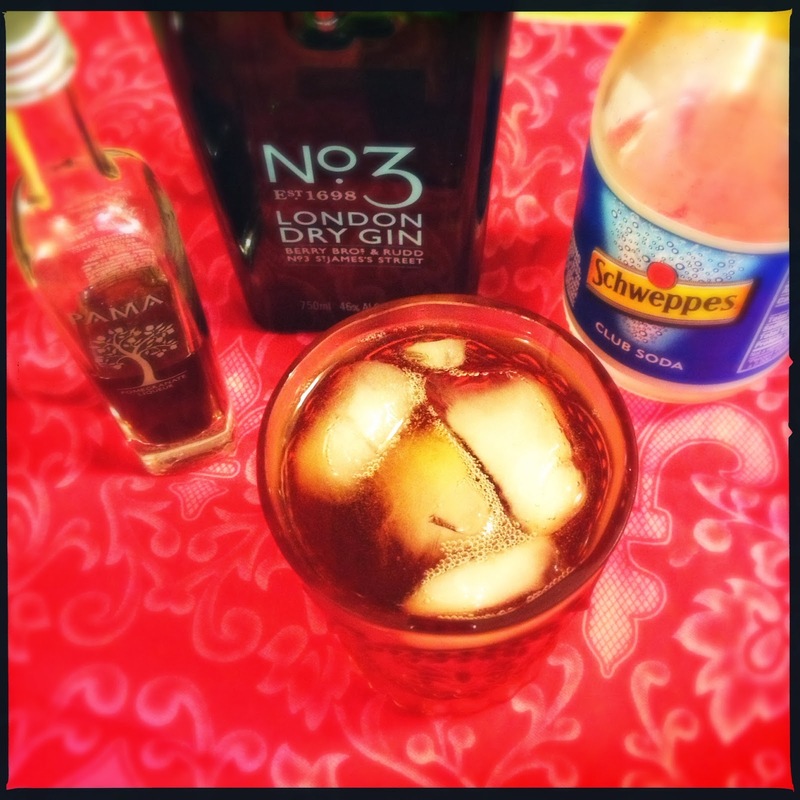 3 London Dry Gin) and some club soda, and you're done. It's a little bit sweet and a little bit bitter, so it won't overpower any dessert you have planned. - In a glass filled with ice, add all of the ingredients and stir.